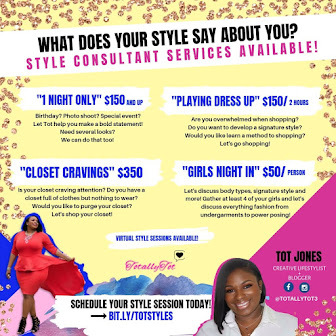 TotallyTot | Creating Innovative Solutions for Everyday Women: Say word, 7 whole days?! Say word, 7 whole days?! 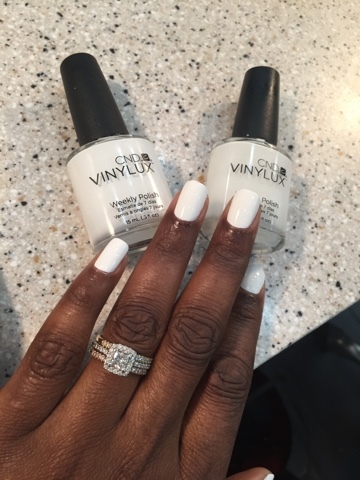 My latest manicure with this popping white! 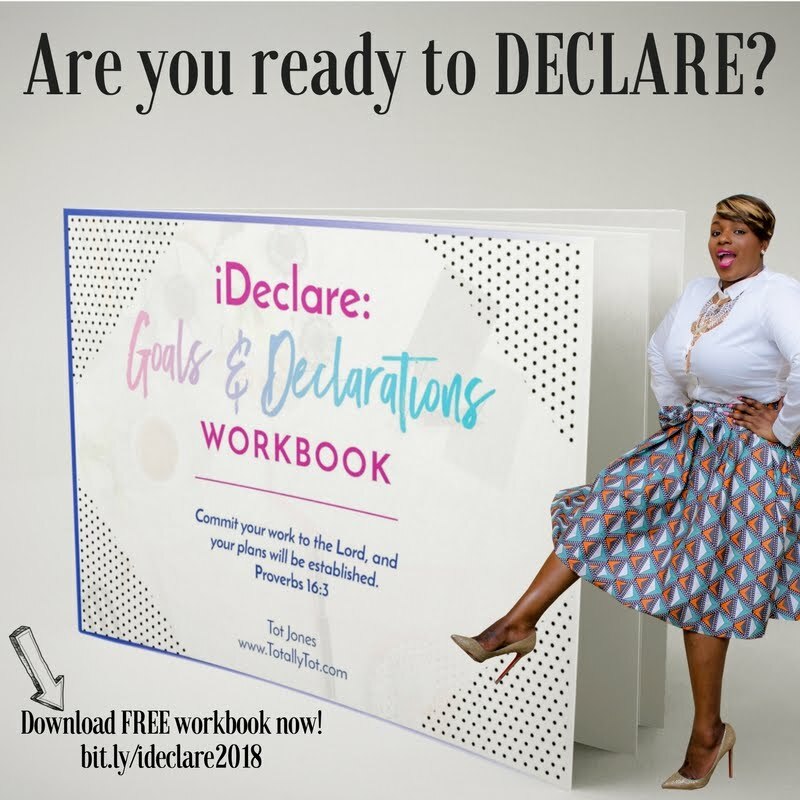 Want something that lasts, but have commitment issues?? Want a polish that wont chip for 7 days but can be removed at home if needed? Love a great manicure but not the chipping polish? Well, this is the polish for you!!! I have been wearing this polish for about 2 years now and it is perfection! I know many are fans of the no chip system, which I've tried and liked, but there are some amazing differences with this polish. First off, it is just polish! 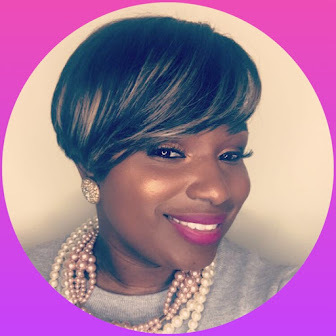 No gel, acrylic, UV lights, or etc. 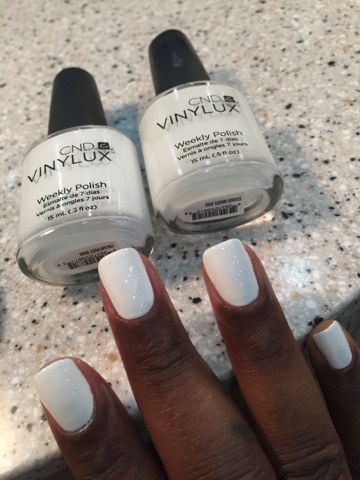 CND Vinylux has made my manicure experience that much better. My nail salon charges an extra $5 for this polish and I promise it has lasted me 7-9 days! All that is required is the polish and their top coat, nothing more. I tried to snap the best pics while in the nail salon just to show how nice it looks! Did I mention that this polish can be removed with regular nail polish remover? Yeah, are you sold yet? lol! 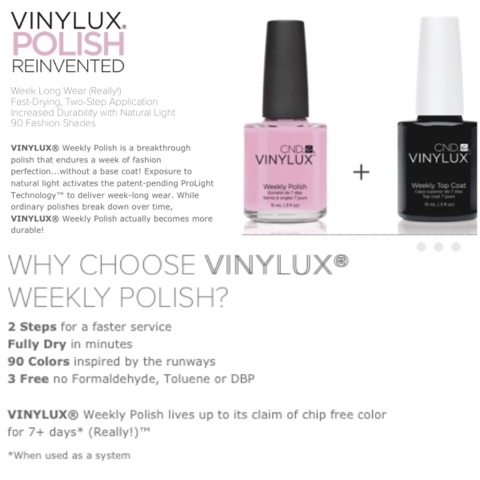 Some Vinylux facts from their website. I used 2 polishes for this manicure; the Cream Puff on the bottom with the Studio White sheer on top. 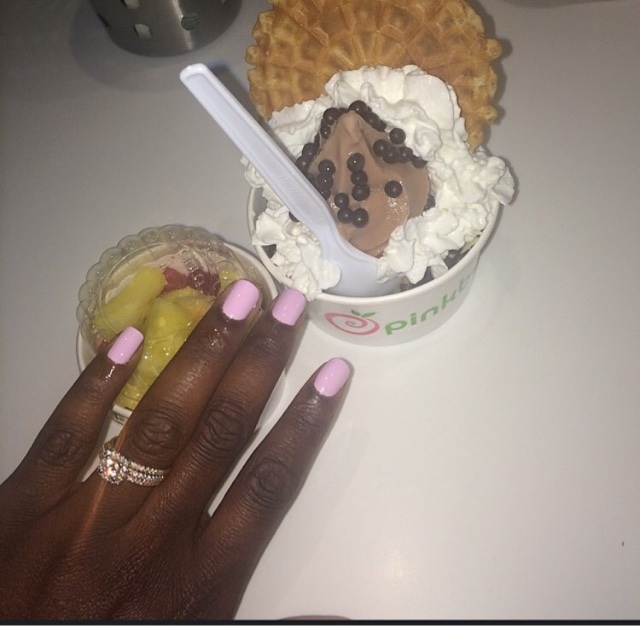 Can you tell I loved this mani!!! 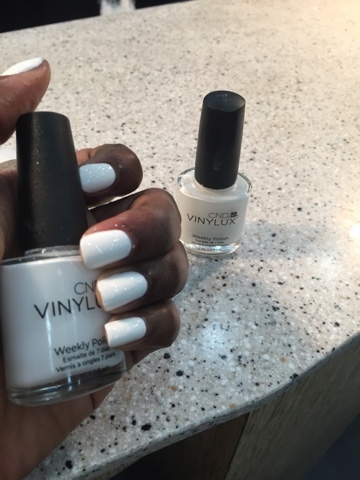 Another Vinylux manicure! Ignore my yummy goodies :) lol! 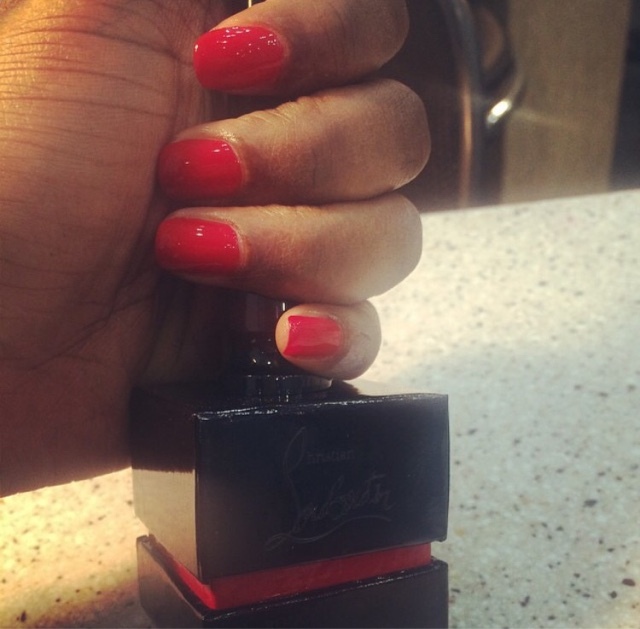 The Louboutin Rouge polish I received as a gift and tried. Love the color but yeah this $50 nail polish chips horribly! Now I have to order more colors Tot! Love it! My favorite polish it lasts for up to 3 weeks. I can get 7 days without chipping from my manicure but I've found they white gets dingy/yellows. How white did this Polish stay? Sorry, I am a little late to reply but this actually does not get dingy or yellow to my surprise. Next time I will take some pictures after 10 days to show.